1st, We can produce both folding gift boxes or rigid gift boxes. The folding gift boxes have advantages of lower storage and shipping costs. However, the shape choices is limited. The shapes are normal square shapes because the sides fold into the middle. If you are looking for a round drawer box, hat box, or other shapes, then this can only be done by completely rigid construction. Our Boxes are produced using a thick, rigid base board and then the custom printed paper is hand glued over the surface. It is a very good suit for you luxury products. 2nd, We can do custom size and custom printing on the boxes. If you are looking for specific size of your gift box, we are able to make the exactly size you want. We also have various choices of printing method you can choose. We can do Full color printing on custom printed paper which can be applied on your box. If you only need to print solid color logo on the box, we can also do screen printing or hot stamp (foil stamp) on fancy paper. We have lots of choices of fancy paper that you can choose. 3rd, We can help to plan and design for you. If you have a plan to design your custom gift boxes, but you don’t know how to start. Our sales staff and designer will very happy to help you. 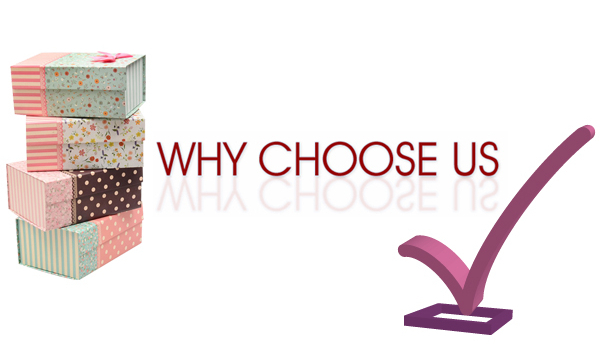 Just simply let us know about the use of the box and content you would like to showcase on the box. They will offer you some great plans to choose which can make your products stand out. Last but not least, We are not only offer best Price, but also offer you great customer service. All our price will be the manufacturer price because all our products are custom made by our own manufactory. 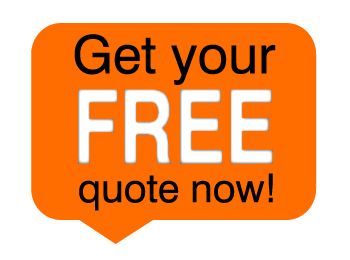 All our products come with limit or lifetime warrantee which can protect your purchase. 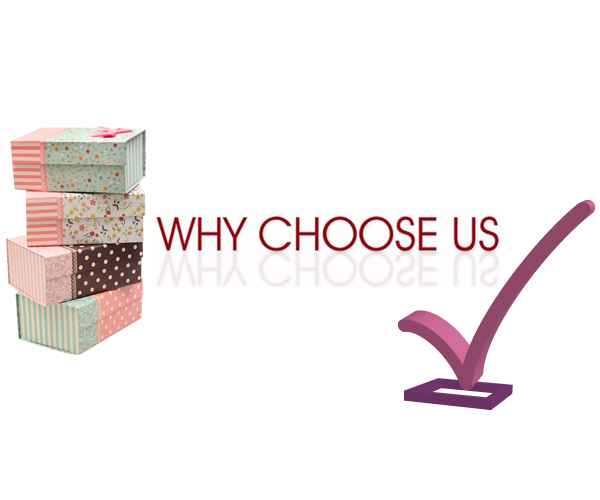 ADD Gift Boxes always put our customer first, One stop solution also with the best customer service.